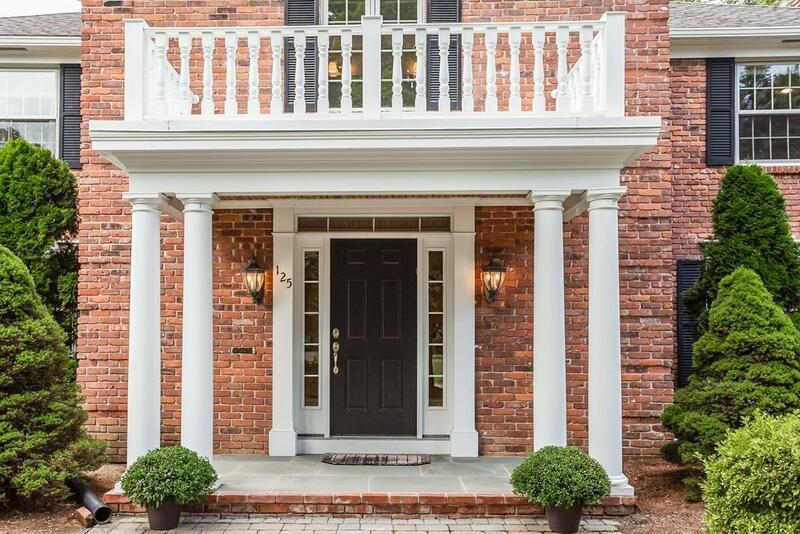 COMPLETELY RENOVATED, this gracious brick colonial has fabulous flow, function & aesthetic in Blueberry Hill district. Beautiful curb appeal w/front & side entry porticos, enlarged windows & thoughtful placement on lot. Ideal living space w/open plan featuring hardwoods, custom millwork throughout, fireplaces in both living & great rooms. 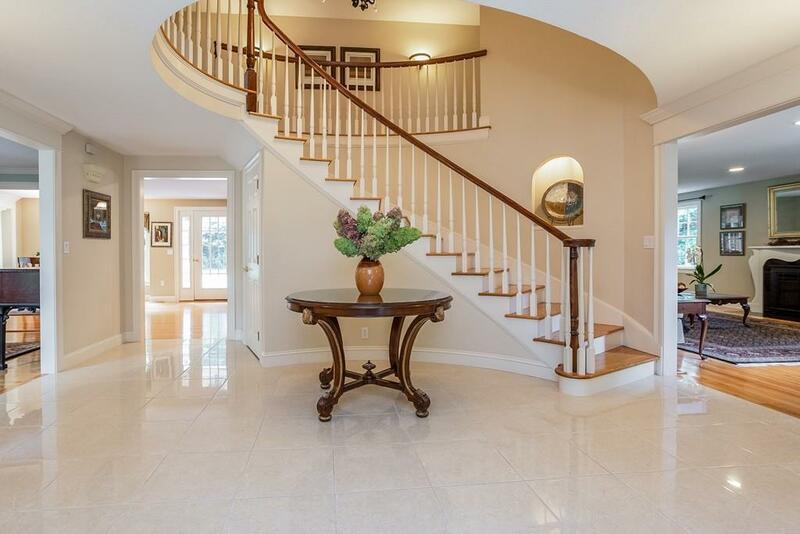 Front foyer welcomes w/views of interior & impressive circular staircase. Large eat in kitchen/great room & sunroom provide plenty of natural light & frame views of private, park like grounds & inground pool. Custom kitchen features cherry cabinetry, granite tops, large center island, stainless appliances & eating area opening to great room w/tray ceiling. Convenient & very functional mudroom can handle lifes daily routine w/access to 3 car garage, laundry room & 3/4 bath. Second floor features three bedrooms, a full bath plus large master suite w/hardwoods, double vanities, walk in tiled shower w/glass frameless shower doors & jetted tub. MUST SEE. 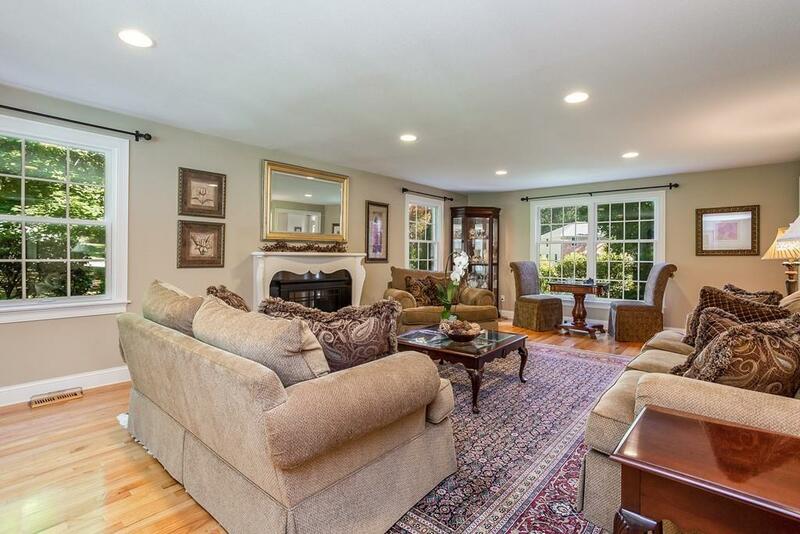 Listing courtesy of Kristin Fitzpatrick of William Raveis R.E. & Home Services. Disclosures Home Was Extensively Renovated in 2004 By Laplante Construction. Please See Extensive List Of Features & Improvements Attached To The Listing. House Wired For Stand Alone Generator. 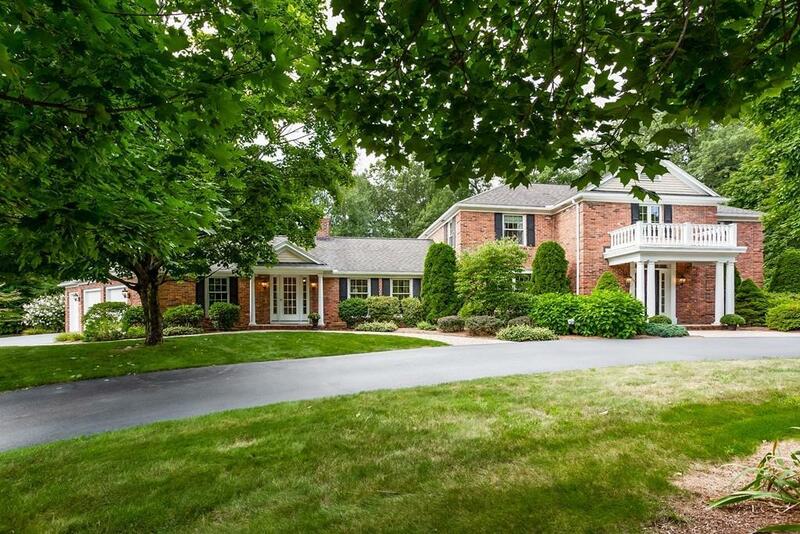 Listing provided courtesy of Kristin Fitzpatrick of William Raveis R.E. & Home Services.